Thinking of importing a car? Sometimes, the domestic car market simply doesn’t offer what you want when you're looking for a car to buy. Market homologation (the impact of rules and regulations) can be a cruel mistress; the number of times British buyers have been cheated out of the ultimate model of motor beggars belief. If you're thinking of importing a car, read on to find out the expert Parkers advice. You can buy your imported car from pretty much the same sources as you would in the UK – for the sake of convenience, let’s narrow it down to two sources: auction houses and dealers. You’ll get the car for a fair market value around the block or typically pay a massively inflated sum on a forecourt thousands of miles away. Alas, there’s a catch to buying an imported car at auction: unless you’re a registered trader, a foreigner can’t bid on a car. It costs thousands of pounds to get the necessary paperwork, so if you want to get a car under the hammer, you have to go through an agent. Having an agent as go-between is more-or-less essential – and there are numerous UK-based specialists who can do this for you, with varying degrees of involvement. It’s crucial an agent’s in the mix at this point: the car has to be de-registered and its plate surrendered in Japan in order to be exported; without de-registration paperwork you can’t use the car in the UK. 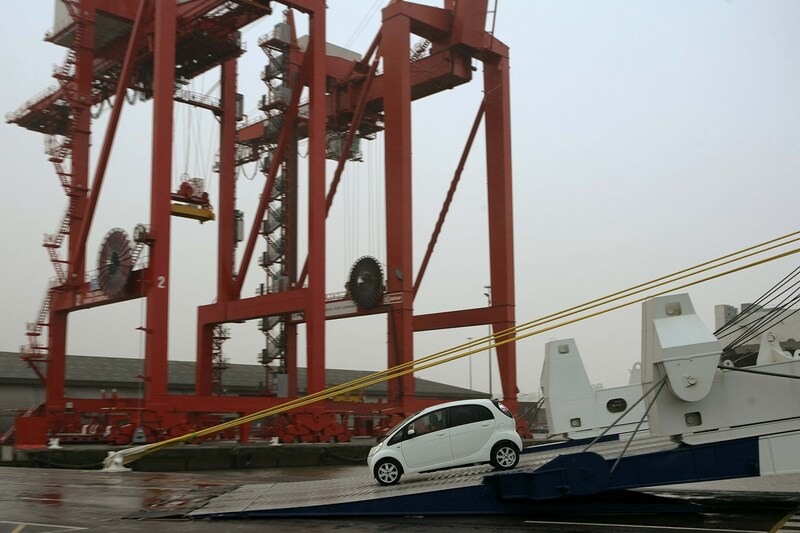 The agent will do everything on their side to get the car to the docks for a fixed amount, known as ‘freight on board’ (FOB): that’s the car sitting at the dockside. You or the agent can then find a shipping firm who will bring the car over, typically for less than what a dealer would charge for a ‘locked-in’ arrangement. The same (or another) agent will then need to sort out the car’s UK documents, pay customs duty (based on the car’s invoice and mileage), VAT and declare NOVA (Notification of Vehicle Arrivals) to the HMRC within a fortnight. To register your Japanese imported car, aged between 10 and 30 years old, it’ll have to go through an MoT. Any younger and it’s liable for a prohibitively expensive IVA (Individual Vehicle Approval) test. This is the first step for your imported car; without insurance, it can’t be registered (or get an MoT). Most specialist brokers and insurers will provide cover if you supply them with the chassis number. You’ll need a few things to make this happen: all the documentation amassed so far, including the de-registration document from Japan, together with a current MoT. Japanese domestic market (JDM) cars usually need a few modifications to get through a test – the most common fitment is a rear fog light. You’ll need form V55-5 from the DVLA and its reference pack; it costs £55 but will create a log book and a UK Vehicle Registration Mark (number plate). The last stage is taxing your new purchase – and if we’re keeping strictly to our 10-30 years guideline, it’s straightforward. VED rates are calculated on the pre-March 2001 flat rate system depending on whether or not the car is under or over 1549cc. Autolink UK for its help with this feature; it can act as agent if you want to import a car from Japan.